The first two weeks of this month are all about Valentine’s Day! We are at your service and ready to do whatever it takes to make this as great a holiday as it should be. Smiles are a must – and if you're not smiling then we're not doing our job! 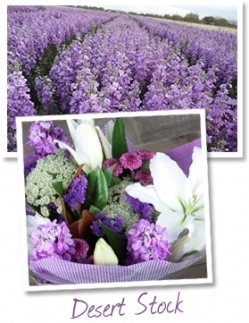 Our Just Add® program is in especially high demand at this time of year, and I can vouch for the Waxflower, Stock, Sunflowers and unique, lush greens going out our doors in huge quantities right now. Despite a current drought in California and some warmer-than-normal temperatures, flowers and greens look great, and it appears we will harvest what we need to meet Valentine’s Day demand. There’s no time like the present to introduce a seven-day production schedule for Dos Gringos. You’ve asked for it, and we worked the logistics until we could get it right and execute and deliver the way you’d expect. We now have teams on the production floor for daytime shifts every day of the week. Product harvested on Saturday gets processed and sent out the door Sunday. This less-than-24-hours turnaround takes freshness to a whole new level. Robin Mooney and Cindy Hamner are sharing the love with our DG East Team in Miami this week to ensure orders arrive on time and with the high quality clients expect. East Coast production and orders are nice and healthy right now, and I expect that momentum to continue going forward. DG Master Grower Todd Thornton will spend a good deal of time in Florida throughout the first quarter of 2014, and I know that DG East will benefit from his production strategies and vision in the same way DG West has. March 1 will bring the 4th Annual “Finish Chelsea’s Run” 5K in San Diego, and we’re looking forward to donating 2,500 Sunflowers as giveaways for participants and fans. As part of the DG Wellness Program, I’ve encouraged all Team Members to consider joining this run; so far over 50 Team Members have made the commitment! Later this month we’ll host a “Know Your Numbers” day at our offices in Vista. Nurses will spend time with Team Members and walk them through their “vitals,” including ideal weight, metabolic heart rate, blood pressure, and other important health indicators. I hope you are finding time to breathe and to center yourself as winter wears on and the Feb. 14 holiday approaches. It’s all good. How long have you been on the Dos Gringos Team? 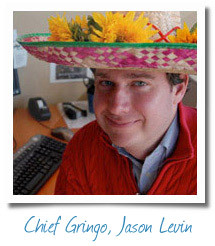 I started with Dos Gringos on April 4th 2007. Tell me about your role. Can you describe the responsibilities? I am part of the e-commerce team. 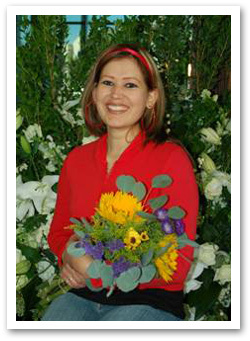 We make individual bouquets for the clients of 1800Flowers, FTD and Sunflower Guy. What would clients be surprised to know about your job/team? That I love making bouquets and hopefully bringing smiles to the recipients. 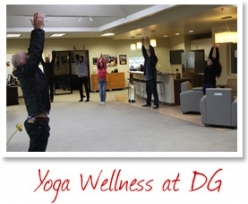 What do you like best about being on the DG Team? I really enjoy working with my DG teammates. What’s the biggest opportunity Dos Gringos has? 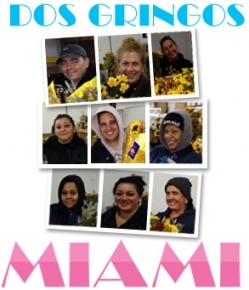 I believe there is a continuing opportunity for increased bouquet sales because Dos Gringos’ quality is the best! What are your favorite foods, movies and things to do. Favorite Movie: Under the Moon, Favorite food: Mole, Presently my husband, daughter and I are preparing for the arrival of twins in March – a boy and a girl. We are excited to be adding to our family.